WhatsApp is the most popular messaging app which lets you chat with your friends and family members. You can easily create an account on WhatsApp using your phone number. Unluckily, WhatsApp has a major limitation that it allows you to use only one account at a time. You can't run two WhatsApp accounts even if you have a dual SIM smartphone. Here we have a simple workaround to this problem. 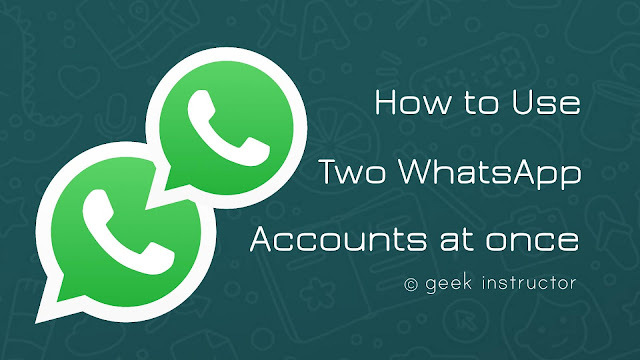 This tutorial will guide you how you can trick WhatsApp to use two accounts at the same time on your dual-SIM phone. 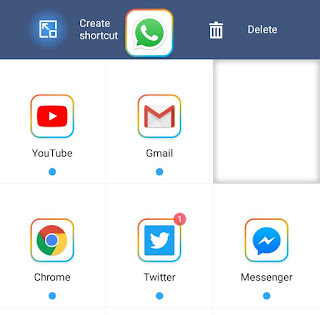 Most of the smartphone manufacturers have figured out this problem of not being able to use multiple social accounts at once and they have come up with a simple solution. 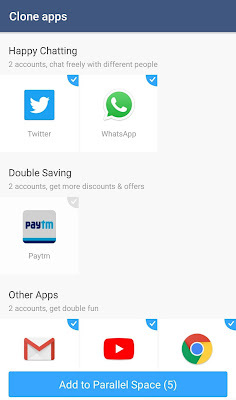 You can use two WhatsApp accounts at the same time by creating duplicate apps on your Android phone. 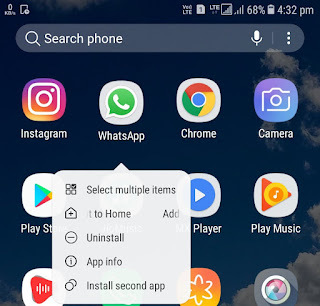 This feature named as "Clone apps" or "Dual apps" is now available on most smartphones including Samsung, Vivo, and Oppo. First, go to app screen and long-press on WhatsApp icon. From the drop-down menu, click "Install second app" option. Now tap "Install" button again and then enable Samsung Dual Messenger service. That's it. This will create a duplicate WhatsApp on your phone where you can setup your second WhatsApp account. The duplicate app will have a small cloning symbol on its icon. These steps are very similar for other smartphones as well. If you don't find any way to create duplicate apps on your phone, just look for "Clone apps" or "Dual apps" option in Settings. If your manufacturer doesn't offer any built-in feature to create clone apps, you can use a third-party app called Parallel Space to run multiple accounts of the same app at once. Parallel Space lets you create a duplicate WhatsApp where you can use your second WhatsApp account. First, download and install Parallel Space app on your Android phone. Now open it and select WhatsApp and other apps you want to clone. Tap "Add to Parallel Space" button at the button of the screen. If you want to add the app shortcut on your home screen, long-press the app and drag it to the "Create Shortcut" button. Now you can setup your second WhatsApp account on the clone app you have created with Parallel Space. Note: The above workaround works on dual-SIM smartphones only. There is no way you can use two WhatsApp accounts on a single-SIM smartphones (including iPhone). You may already know that WhatsApp uses your phone number to keep your account logged in. As soon you remove the SIM card from your phone, WhatsApp will automatically logout your account. That's all what you need to know about this tutorial. If you want to ask something, feel free to share it in the comment section.